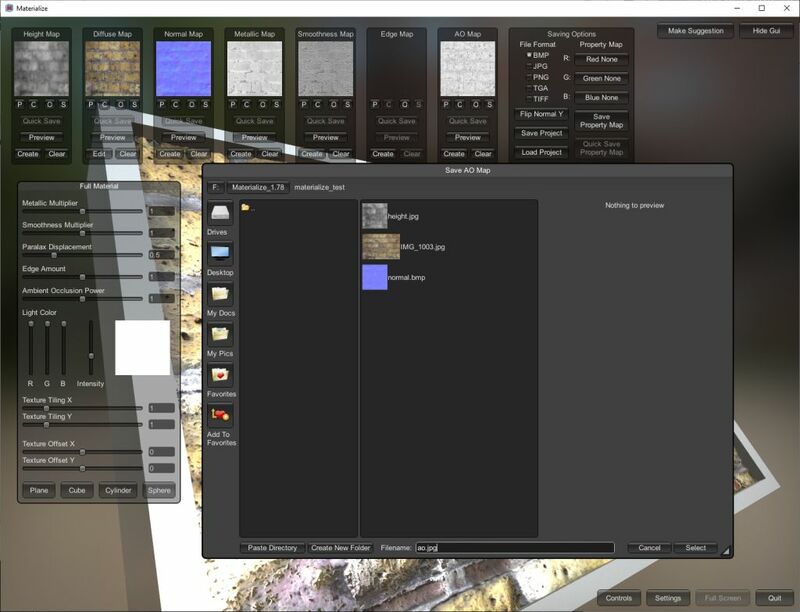 You can create an entire set of textures (normal, height (bump + displacement), metallic, smoothness, ambient occlusion) from a single image (usually the diffuse / albedo image) or import the textures you have and generate the textures you need. 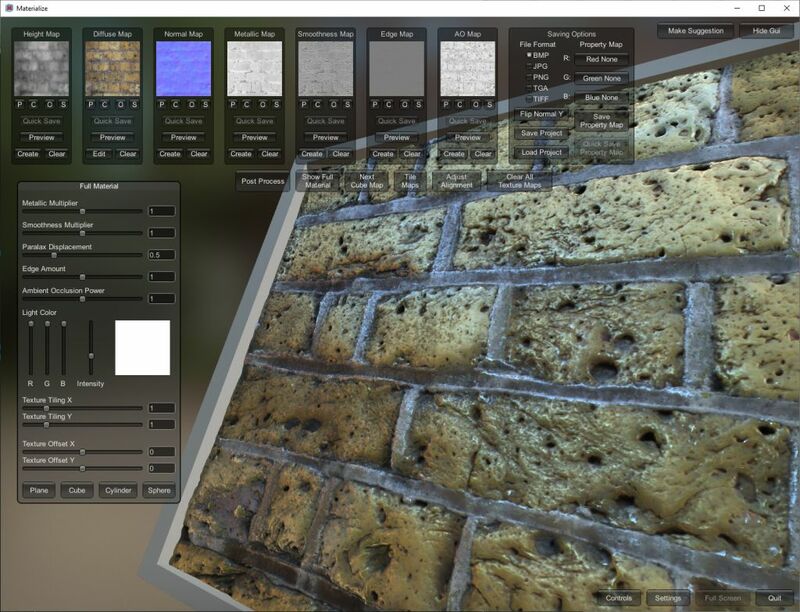 Materialize is a useful tool for PBR (Physically Based Rendering) needs. 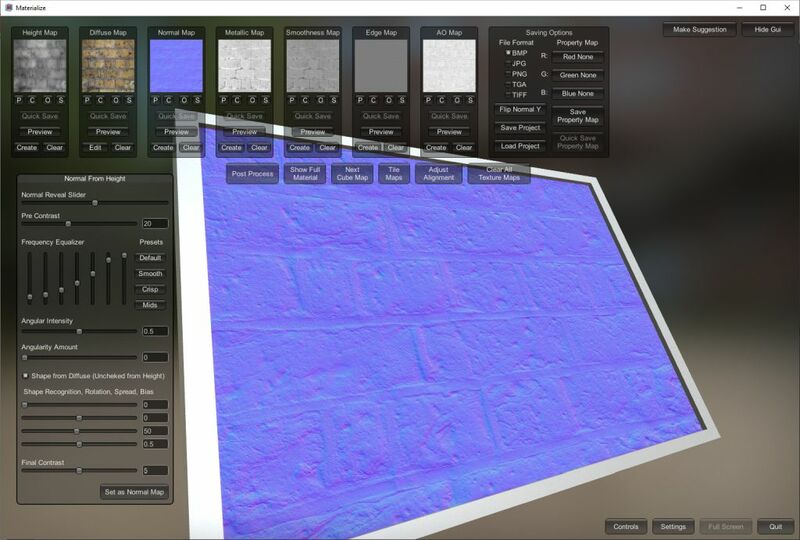 Tileable / seamless textures can be generated as well. 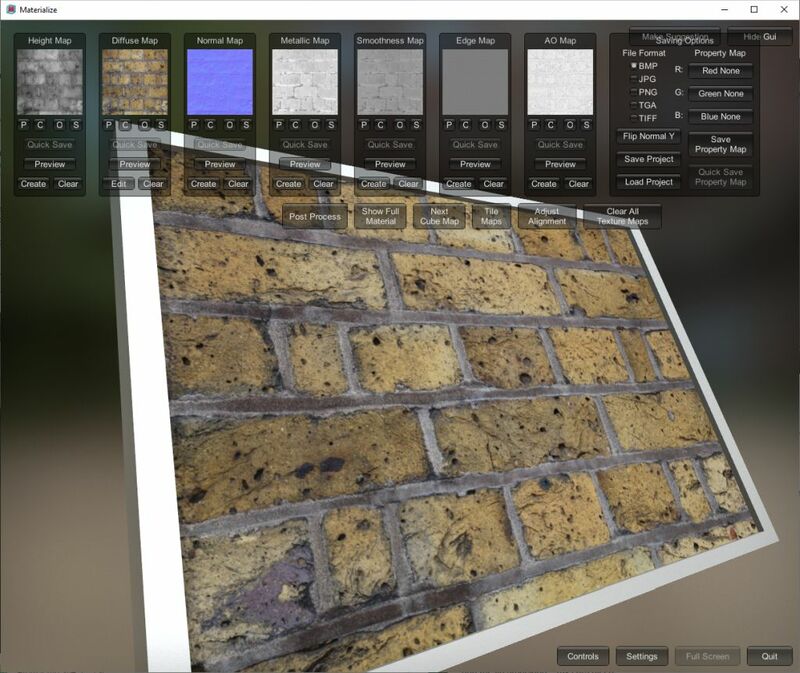 – Seamlessly tile your textures. – Save and load in a variety of formats (BMP, JPG, PNG, TGA, TIFF). – Automate many processes with clipboard commands in xml format. I quickly tested it and Materialize seems to do the job. Simple to use, all textures have been generated in less than a minute from a single input texture. To save a map, just click on the [S] button on each map (it took me few seconds to understand the function of P, C, O and S: Past, Copy, Open and Save). AMD/ATI GPU Tools Updates: Xmas Gifts for Graphics Developers!